“If you had a chance to change your princess’s bedroom, would you?" Unlike the traditional fairytales where the princess waits for her charming prince, Disney’s Brave shows us a new side of the story; a young, impetuous princess, Merida, who wants to be free and enjoy life to the fullest! This has become something all the girls can relate themselves to. 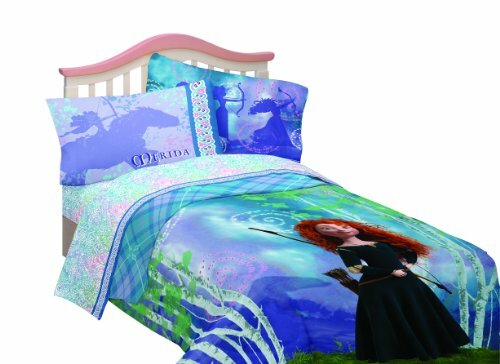 Artists believe that a person’s room reflects his thoughts, and this explains why most of the girls want their bedrooms to be decorated the princess Merida way. So if you love seeing your princess smile ear to ear, just give her bedroom a touch of Disney’s Brave using the featured products and voila! If you are short on budget, you can still create a magical look for the bedroom by adding small details to the bed just as the following links suggest. 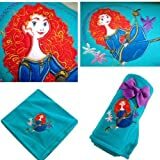 The beautiful blanket and cover are captivating enough to make little princesses jump with joy! The Microraschel blanket shows an amazing forest scene with Princess Merida’s silhouettes making the blanket a magical piece. 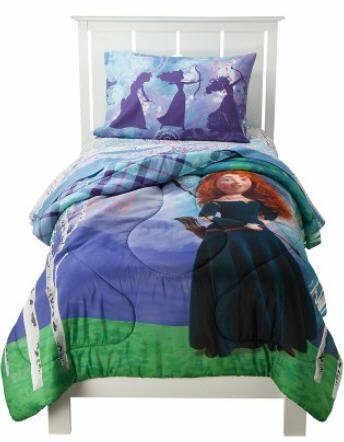 It measures 62’’x 90’’ and warm enough to make your princess cuddle in and travel to the magical forest with Princess Merida. Another 46’’x 60’‘blanket exhibits the forest girl design. 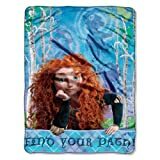 With an amazing motivational quote from the movie saying “Find your path!” and Princess Merida posing on the front, this warm and cuddly blanket will not only make your child cozy in bed but will also inspire her. If you dwell in cold highlands, the fleece throws will be a perfect pick for you! 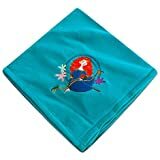 The Electric Blue fleece blanket measuring 60’’x 50’’ and made out of 100% polyester is as unique as the picture featured on it. What makes it different is that it has an embroidered applique of Princess Merida surrounded with flowers, sitting in the corner with her fiery red hair and her favorite cross bow. Weighing less than 2 pounds, this fleece blanket is easy to carry and is very much likely to make your princess cuddle in it on cold, shivery evenings. Creating a magical ambiance in the bedroom will be much easier using these eye-catching wall decals. While these decals are striking and appealing, they also involve both the child and the parent in a healthy activity as they try to assemble the pieces together. 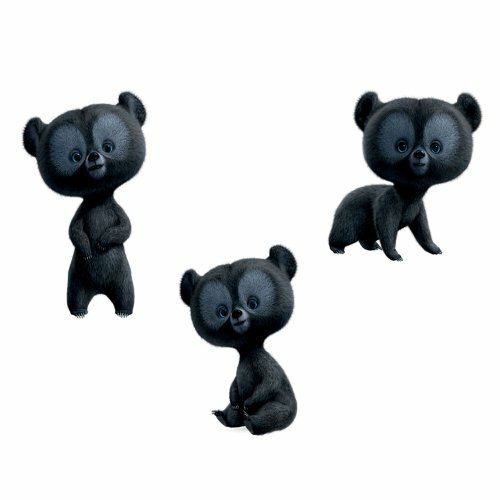 One of the decals shows the three mischievous bears, who are trouble makers but at the same time they are cute and cuddly. This decal comes in 14 small pieces and the size of these pieces ranges from 2.25’’x 3’’ – 17.5’’x10’’. 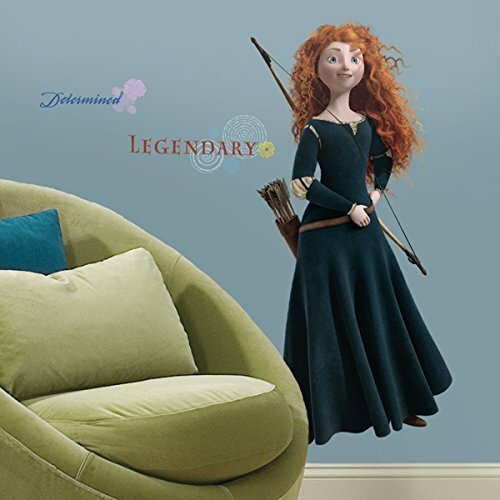 Another decal that will appeal your child is a portrait of Princess Merida in 9 pieces which, when assembled, become a big 38.75’’ x18.5’’ sized decal. The decal also contains text and small accessory pieces to enhance the magical look. 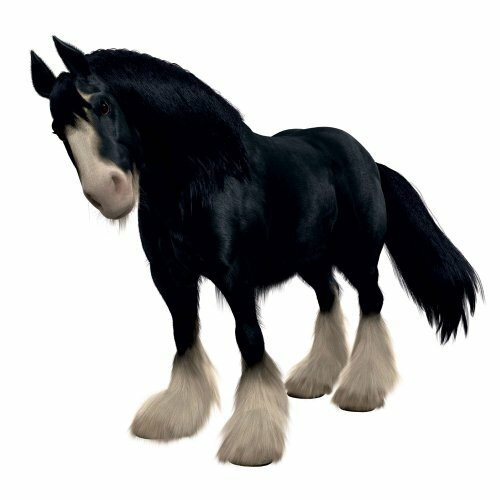 Another decal shows Merida’s loyal pony Angus with pretty accessory decals and text. This contains 18 pieces, all of which become a 50’’ high and 52.25’’ wide single decal. 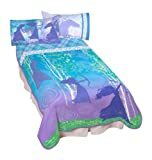 All these wall decals will add a magical charisma to the ambiance of your princess’s bedroom and the thing which makes them a must have is that they can be easily repositioned without any sticky residue. How convenient! These seem like fun :). I haven't seen the Disney Brave movie but it's interesting how they chose to represent the heroine, flowing curly red hair and all :). Pinning them.